I’ve kept this review as spoiler free as possible. If it therefore seems rather short, and a little fuzzy on specifics, I apologise but it can’t be helped. Once the film has gone on general release there will be a further, far more detailed, post of my thoughts on both the film and on Alan himself but this is really, when you get down it, just me sharing my feelings on the film and attempting to articulate why I want everyone to see it. It is now almost three weeks since the UK premier of this film and I’ve only just found the words to write a coherent review. Well, coherent-ish, anyway. 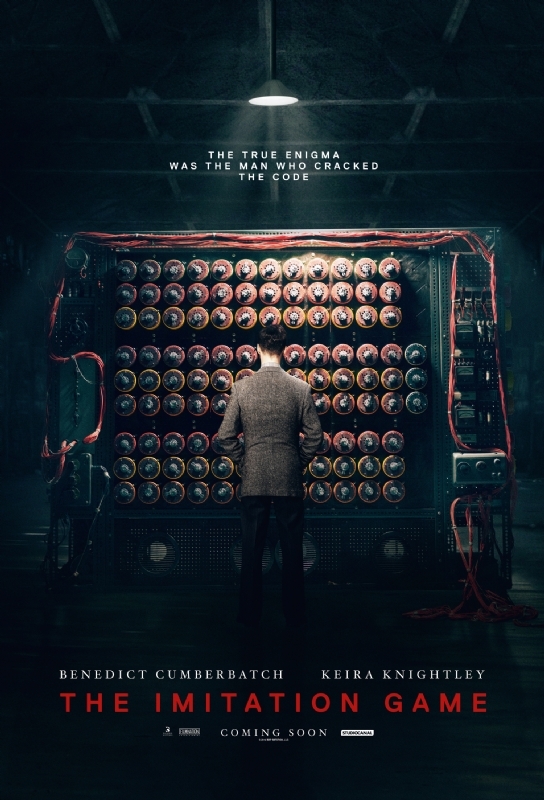 This is, in no small part, down to the fact that from the minute Alan Turing appeared on the screen and started to speak, I was confronted with the man I had hoped to see. 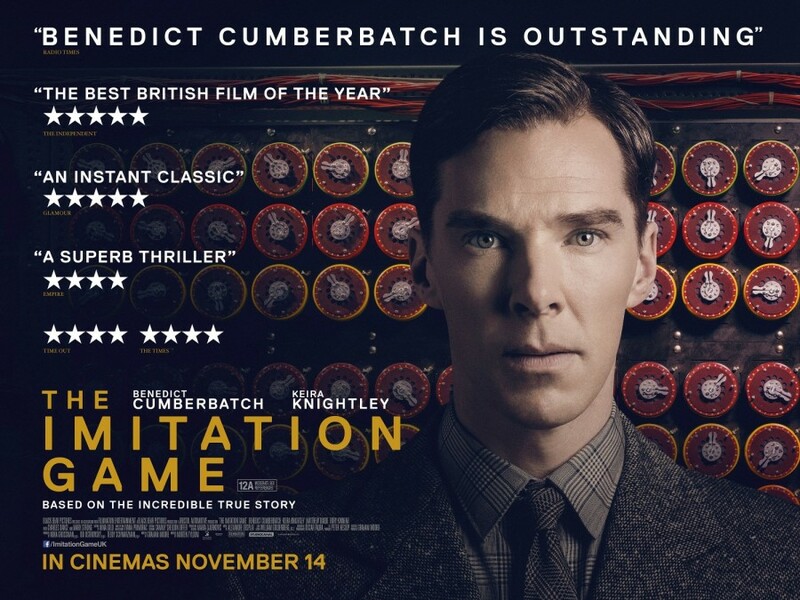 When the final credits rolled I was shaking with emotion, tears streaming down my face, all of which was thanks to a sensitive script and the overwhelming skill of both Benedict Cumberbatch and Alex Lawther (who played young Alan). I sat in that cinema and came face to face with the Alan I have had in my head since 1999, when I first began studying his work and read, and then continued to re-read, the two main biographies available at that time – Andrew Hodges extremely comprehensive chronicling of his life and the smaller, more emotional and less subjective tome from Alan’s mother, Sara. I spent the last two years of my undergraduate degree completely immersed in the concepts explored by Alan’s “Imitation Game” (first posited in his paper Computing Machinery & Intelligence which was published in the philosophical journal Mind in 1950 – Vol 39, p 433-60), fascinated by his work at Bletchley Park during the war, and deeply affected by his bravery in not hiding who he was during an era where to do so was courting persecution and oppression that was not only socially permissible but perfectly legal. He became a personal hero to me, as well as an academic inspiration. It will not, then, surprise you to learn that when I first heard that a film of Alan’s life was being made, I was both pleased and concerned. Pleased that his story would be shared with a wider audience, concerned at the thought of those with “Hollywood sensibilities” reworking his life story to ensure it was palatable to said wide audience. My fears on this score were somewhat allayed by the casting news – if I’d had to pick anyone to play Alan, I would have chosen Benedict, who is known for thorough character research and a willingness to query scripting choices – and the drip of information coming off set as the filming happened. I now know I needn’t have worried at all – the film neither down played, nor sensationalised any aspect of his life. It simply showed the realities of the time and what both Alan and those around him were up against. I really couldn’t have hoped for anything more. This is not to say that the film shares Alan’s life exactly as it happened. It doesn’t, for the simple reason that would be neither watchable nor remotely possible to fit into the longest of films. What Graham Moore has done in his script and Morten Tyldum translated to the screen – and the cast and crew cemented with their visible attention to every detail – is to create a narrative of Alan’s life that tells his story as accurately and understandably as it was possible to do in 114 minutes. So yes, there are plot devices that are created, rather than drawn from actual events, and yes, there are parts of Alan’s life – both anecdotes and habits – that either I had hoped to see in there that I didn’t or that I knew were altered to make certain points, but I didn’t find that it mattered. It didn’t detract from the story I knew it should be telling, nor did it remove the integrity of the project. The film isn’t a transfer of Andrew Hodges biography from book to screen, it is a retelling of Alan’s story in a manner that is both accessible and sensitive. I can say, hand on heart, that I believe this film deserves all the awards it is rumoured to be in the running for, as does Benedict Cumberbatch for his fantastic and painfully moving portrayal of Alan. This is a film that is powerfully understated and seeks neither to glamourise nor to down play the major aspects of Alan’s story. Instead it attempts to make us feel, understand and empathise – both with Alan and with those around him. For me it succeeds and, best of all as far as I am concerned, it seems to capture Alan’s spirit, shares with us all a little of Alan’s soul.